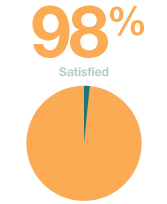 There are vast differences in Special Education requirements from state to state. That is why, unlike the products of other companies that offer generic software, IEP Direct is a truly customized state-specific solution. Each state-specific version of IEP Direct is designed to align fully with state requirements. The customization of IEP Direct goes far beyond state-specific forms and reports. Every aspect of the product, content, training and support is state-specific. 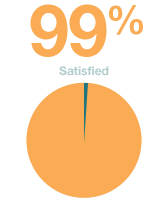 The result is a truly best-of-class solution that will help you save time, improve compliance and enhance quality. Data can be seamlessly shared between your district's general education student information system and IEP Direct. Instead of the labor-intensive and error-prone process of entering and updating student and guardian demographic records into two systems, IEP Direct automatically updates the information from your general education student information system. In this way, IEP Direct will eliminate redundant data entry, improve data accuracy and save time. 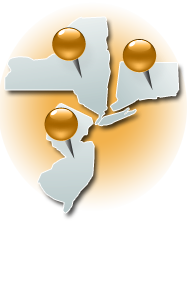 Not only is IEP Direct fully aligned with state-specific requirements, it is also configurable to fit each district's unique needs. IEP Direct provides built-in flexibility and customization capabilities. IEP Direct can be configured to reflect your district's Special Education policies, practices, programs, services, schedules, assessments, assignments, notices, letters, listings/reports and more. As a state-specific and district-configured solution, IEP Direct will help you increase efficiency, enhance quality and improve compliance. With 25 years of experience and a track record of success in more than 700 school districts, IEP Direct is a proven best-of-class product. 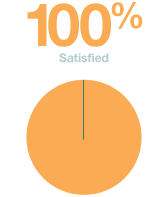 Web-based IEP Direct has a remarkable 100% client satisfaction rate - we have never lost a school district client. This confirms our commitment to being responsive to clients' needs, providing ongoing customer support and continual product innovation. With IEP Direct, you will have the confidence and trust of working with a company that delivers an unsurpassed level of customer satisfaction. IEP Direct combines advanced features and technology with an easy-to-use and intuitive design. NO special computer skills are required. Our proven training methodology will prepare you to take full advantage of IEP Direct from day one. IEP Direct was developed from the perspective of Special Education professionals with first-hand knowledge of the challenges you face. As a result, IEP Direct is the easiest-to-learn-and-use product in its class. 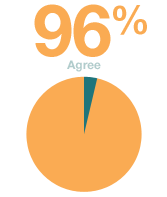 In fact, 98% of our customers report that IEP Direct is easier to use than other software. IEP Direct is designed from the perspective of educators with 25 years of experience in Special Education software. Our highly qualified Development Team has backgrounds which include: former Directors of Special Education/Special Services, Case Managers, State Education Department Supervisors for Special Education, Psychologists, Service Providers and Teachers. As Special Education practitioners, we understand the real-world challenges you face and design our products and services to meet your needs. Staff Time has IEP Direct Helped Save? 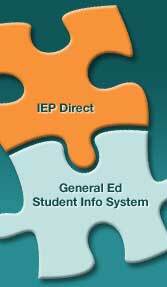 IEP Direct will produce significant time savings in the administration of your Special Education program. 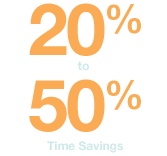 IEP Direct customers report time savings in drafting IEPs, scheduling meetings, generating reports and administering programs ranging from 20% to 50% compared to other software. 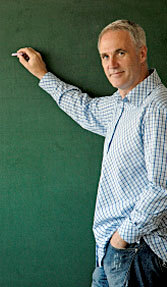 IEP Direct provides a solution which will pay for itself by increasing efficiency and returning time to teaching. Our commitment to your satisfaction extends far beyond the product, implementation and training. Our Help Desk staff is a critical component of our service delivery, providing ongoing support to your school district. The Help Desk staff are not only technical experts on IEP Direct, but they also have backgrounds in Special Education. This background helps ensure that they can effectively and efficiently respond to your questions.